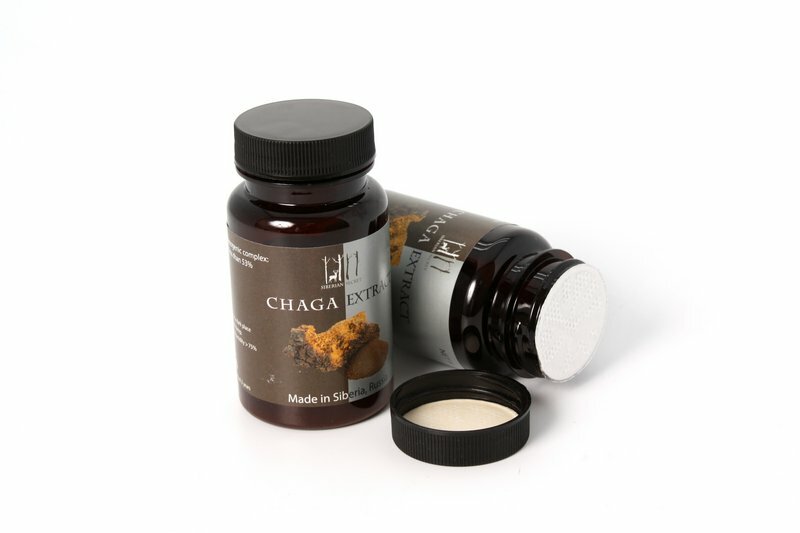 In comparison to other products, Chaga Extract contains the highest concentration of biologically active substances. It dissolves in hot and cold water. - Passes a laboratory examination, only materials with high levels of biologically active substances are allowed in the production of the extract. - We implement the freeze-drying method - drying at low temperatures in a vacuum. 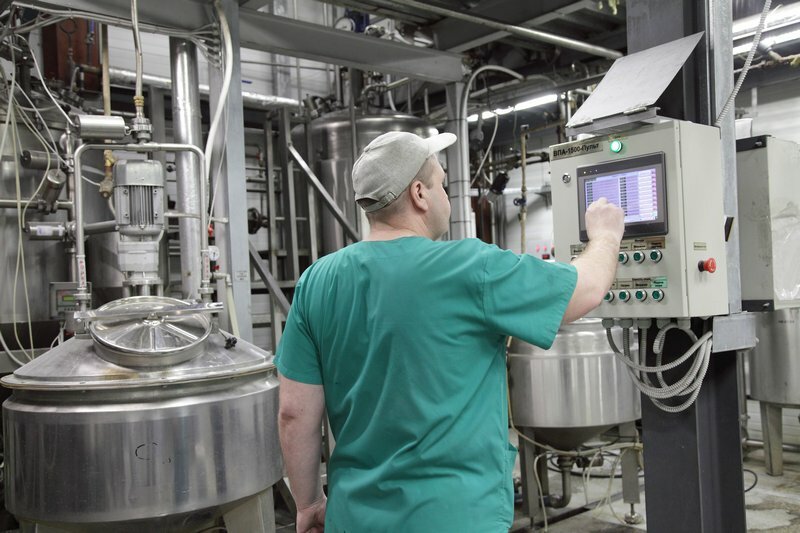 - Fusion of these manufacturing techniques allows maximum concentration of biologically active substances and good solubility in water. We package Extract either in vacuum bags or in PET cans with throats sealed with metal membranes. This preserves the quality and prolongs the shelf life. Additionally, it provides high antioxidant properties. 50 g PET cans with throats sealed with metal membranes, individual carton boxes, measuring spoon. 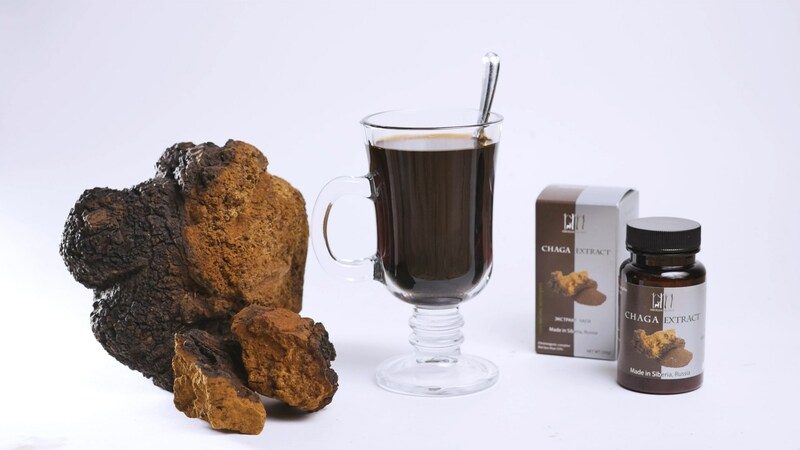 We export chaga extract all around the world. 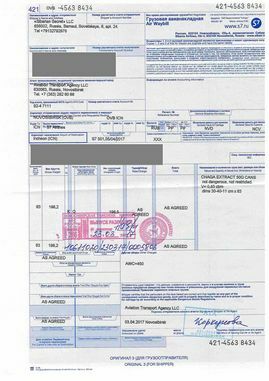 Shipping – by air, takes about 4 days. 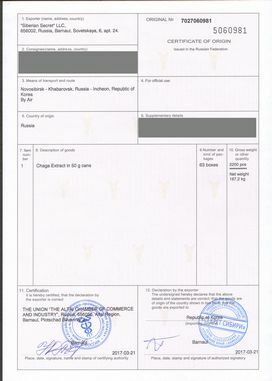 MOQ – 2000 cans / 100 kg. OEM. 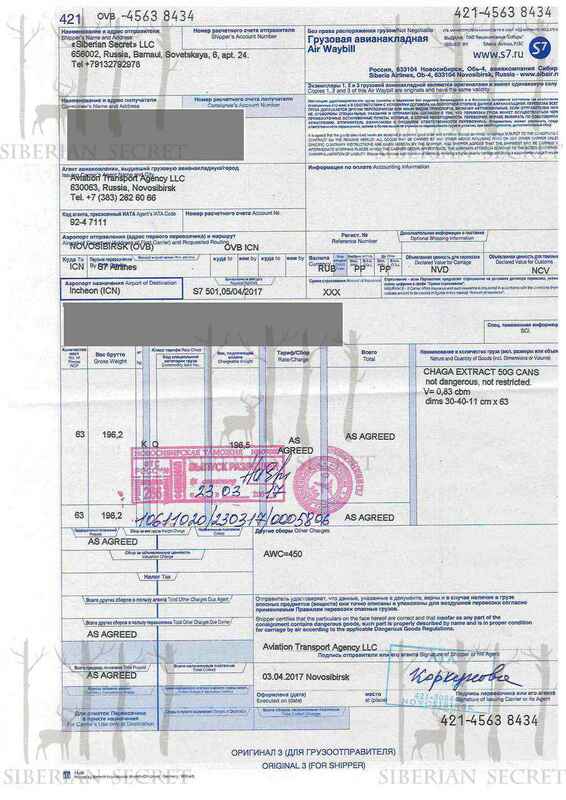 We can adjust the design and composition of products in accordance with the requirements of your market. 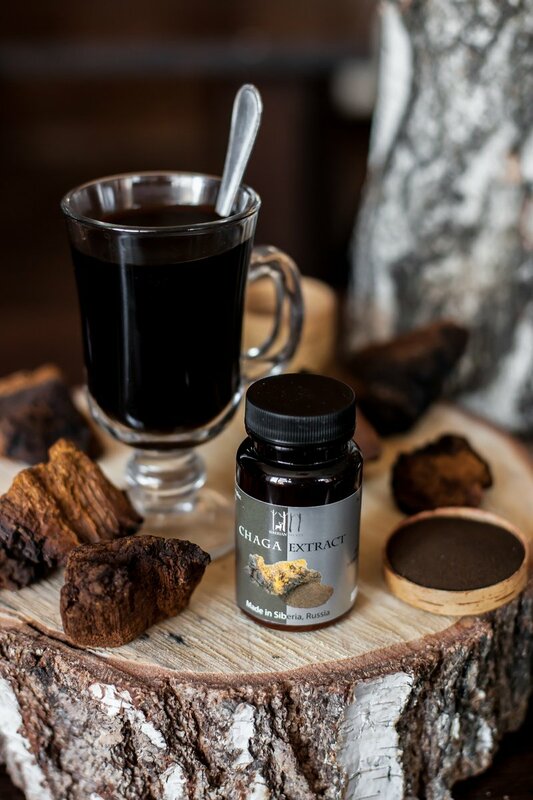 Each batch of chaga extract is provided with a set of accompanying documents that is required for export / import procedures. 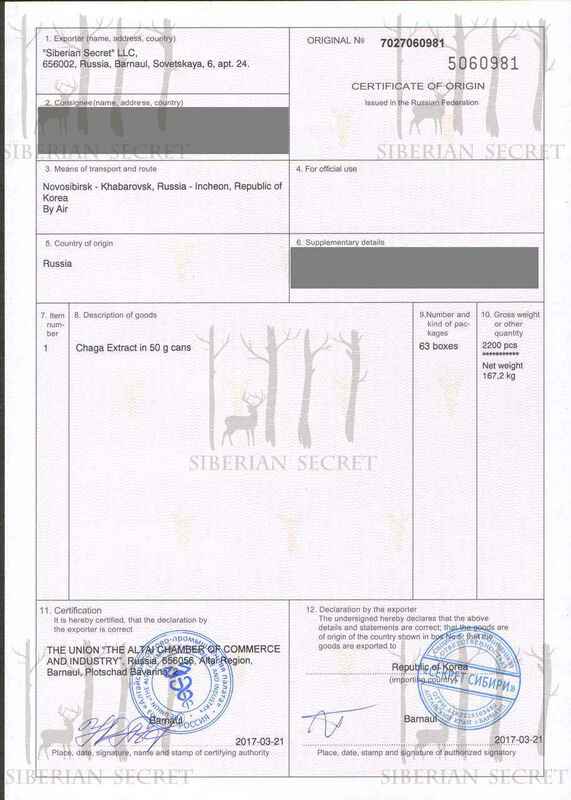 The standard set of documents for the export of chaga includes: certificate of origin, test report (radiation), packing list, air waybill or bill of lading.